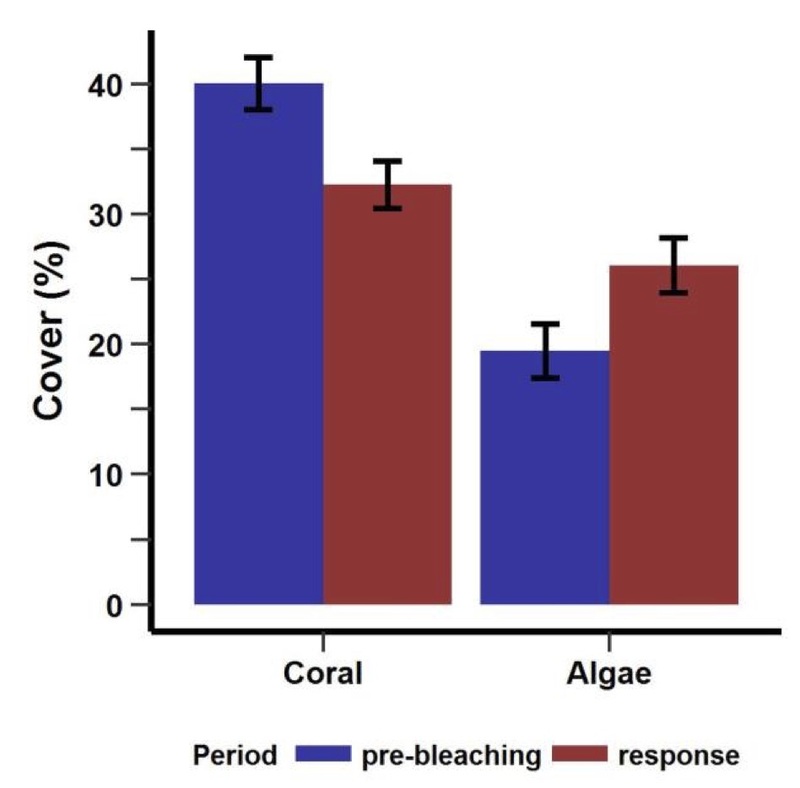 The 2016 mass bleaching of corals in the Western Indian Ocean resulted in a 20% decline in coral cover at over 130 sites with long term monitoring data. This is the main finding of the report released today at the Nairobi Convention Science-Policy workshop in Durban, South Africa. The report was prepared under the umbrella of the regional Coral Reef Task Force and Coral Reef Networks of the WIO, supported by the Indian Ocean Commission’s Biodiversity Project and coordinated by CORDIO East Africa. The impact of the 2016 bleaching was less than that of 1998, even though the two thermal stress events were broadly similar. In 1998 coral cover loss was 25%, compared to 20% in 2016. Algal cover increased 2.5 times in 1998, and again by 35% in 2016. 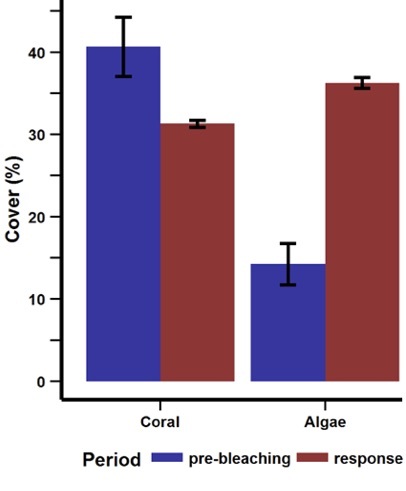 This amplifies the findings of the 2017 GCRMN report which, in addition to these opposing trends in coral and algae cover, towards algal dominance, that fish communities are simplifying towards dominance by smaller sizes of herbivores and detritivores. These findings emphasize the need for improved support for monitoring, to strengthen the evidence-base to motivate for more effective management and restoration of coral reefs. The report also calls for revitalization of the coordination networks in the region, focused on the Coral Reef Task Force. For further information and context, see the GCRMN pages on this website, and the blog post on the 2017 regional report launched in December 2017. Coral/algae compensatory changes in 1998 and 2016. Note that differences in monitoring sites mean that coral and algae levels after 1998 and before 2016 are not the same.